* ... PUBLIC PAYROLL: My post last week about top administrators at Cal State Bakersfield dodging paycuts while others are being laid off triggered a note from a reader who asked to go unnamed. He argued that pay cuts should start at the top, not only at CSUB and Bakersfield College but also at all of the public school districts in Kern County. "Some of the fiscal mess we have locally comes from a hiring philosophy of 'we get the best people and we don't want to lose them attitude' of local school boards etc. People are losing their jobs. People in the private sector have taken big cuts. It's overdue for those who work on the public dime. Starting at the top." * ... CRIME WATCH: A reader in the La Cresta area, who asked that her name be withheld, is warning about a possible scam by people impersonating Pacific Gas and Electric workers. She said a man wearing a reflective vest and a baseball cap knocked on her door and when she didn't answer stood outside and took a picture of her house. "He then proceeded to go up the block and around the corner without stopping at any other address," she said. "I got in my car and tried to find him and his truck but he was gone. After confirming with PGE that no workers were performing work in our area, I reported it to the sheriff." Her suggestion: never open the door unless you know who is there, always ask for identification and carry a cell phone so you can punch in 911 in an emergency. Or, carry your keys to trigger your panic button on your car. * ... DONATION: Do you ever get slightly annoyed when the supermarket clerk asks if you'd like to donate a dollar to a charity? If you have, you need to think twice. In May, the Children's Miracle Network produced record breaking results in raising money for the Children's Medical Center at Bakersfield Memorial Hospital. Donations at Rite Aid raised more than $18,000, another $40,000 came from Costco customers and a whopping $100,000 came from Walmart. Said Sue Benham, the hospital's chief development officer: "This is a tribute to the enthusiasm and dedication of the Walmart, Costco and Rite Aid employees and the generosity of local customers in Kern County." 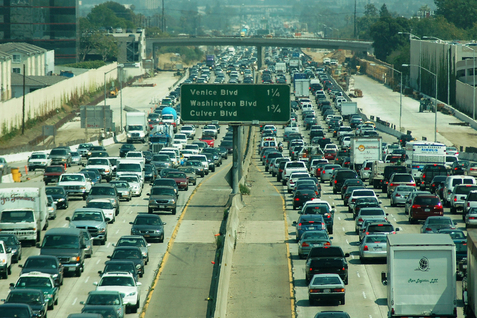 * ... 405 FREEWAY: Here's something you need to calendar: for 53 hours over July 16-17, the 405 freeway in Los Angeles will be closed, making the already nightmarish drive one for the record books. It turns out CalTrans is partially demolishing the Mulholland Drive Bridge as part of an overall highway upgrade. The northbound lanes will be closed all the way from the 10 to the 101 Freeway and the southbound lanes will be closed for four miles between the 101 Freeway and the Getty Center Drive exit. So getting to LAX Airport is going to be a major challenge. My advice is to avoid it completely. This seems like a grand marketing opportunity for Meadows Field to lure traffic here for a few days. * ... CRAIGSLIST: Is the end near for the popular online classified website Craigslist? It could be unless Craigslist gets control of the spammers, who now comprise 90 percent of the content on some Craigslist categories. All this according to the website TechDirt which notes the spammers are out maneuvering the once popular website at almost every step of the way. * ... NRA SHOOT: The Friends of the National Rifle Association will be holding a sporting clays shoot and gun raffle this Saturday. This is a good way to support the shooting sports while checking out the Kern County Gun Club out by the Lake Buena Vista Recreation area. The cost is $100 a shooter in teams of five and lunch is included. Call Cyndi Benson at (661) 205-8569. * ... BAKERSFIELDISM: You know you're from Bakersfield if you remember Freddie's Top of Hill bowling alley and restaurant at Mount Vernon and Highway 178.
and you're REALLY from Bakersfield if you remember the sensational murder involving the owner of Freddie's Top of the Hill!! !